Project aims at tackling social exclusion of people with disabilities, at risk children, youth and elderly people that is common challenge for whole Mid-Baltic area. 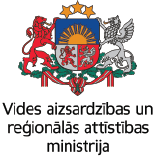 The overall objective of project is to promote social inclusion of people with disabilities, children, youth and elderly people at risk of social exclusion by creation of social inclusion measures and improving quality of social services in Mid-Baltic region. By implementation of project people with disabilities, at risk children, youth and elderly will be benefiting from social inclusion measures and more qualitative social services that will be reached by: 1) capacity building and networking of specialists form 8 partner organizations; 2) improving infrastructure and equipment for provision of new social inclusion measures and qualitative social services; 3) creating and testing quality management system for social service providers in Mid-Baltic territory; 4) organizing summer camps for people with disabilities and at risk children and youth; 5) creation of new social inclusion measures. To achieve better results cross border approach is applied as each country has its own experience and fields of excellence and by combining them it is possible to find new solutions and reache project outputs at best. The project will elaborqate quality management system, which will be tested on both sides of the border and will allow the creation of new measures to improve social services. Summer camp "Together we can, we do, we create"